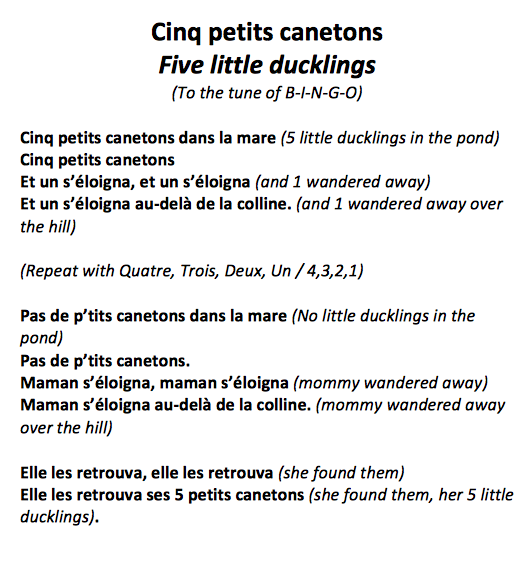 “Cinq petits canetons” (five little ducklings) is one of the first songs I made up for my class. 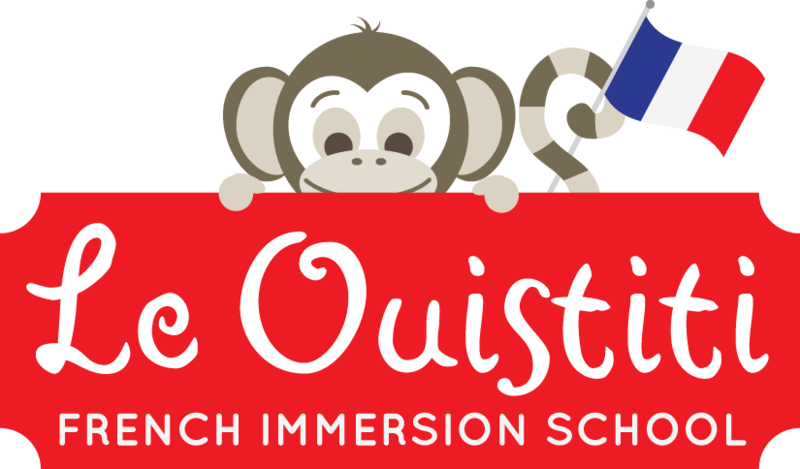 I taught it at the same time as we learnt “La semaine des canards” (the week of the ducks) and the kids loved it. I sing it to the tune of B-I-N-G-O. 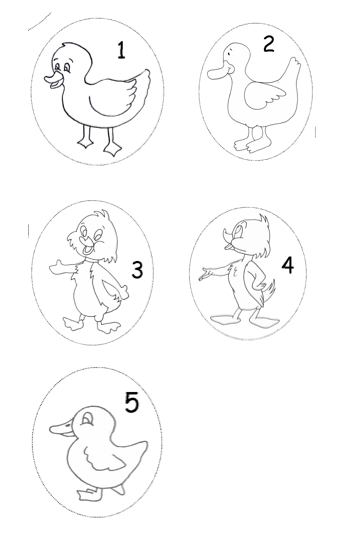 Find attached my lyric sheet with English translations and a copy of the puppets I use on the blackboard to move each “caneton” (duckling) as I sing to the children. I have my helper draw a big hill on the board and then move each caneton as we all sing.